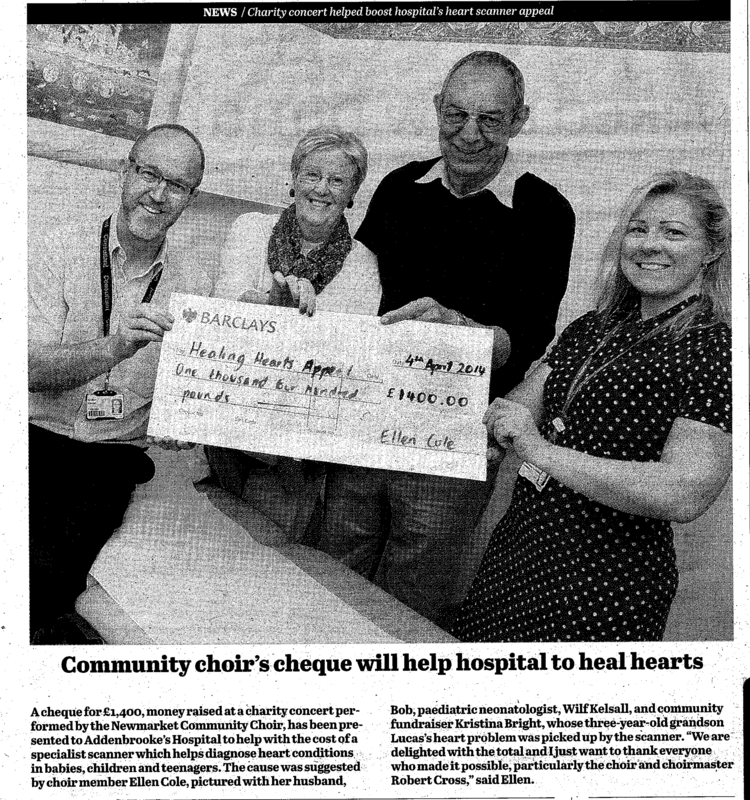 After our successful Rhythm Of Life concert in March, we had a write up in the Newmarket Journal about the money raised for the Healing Hearts appeal. 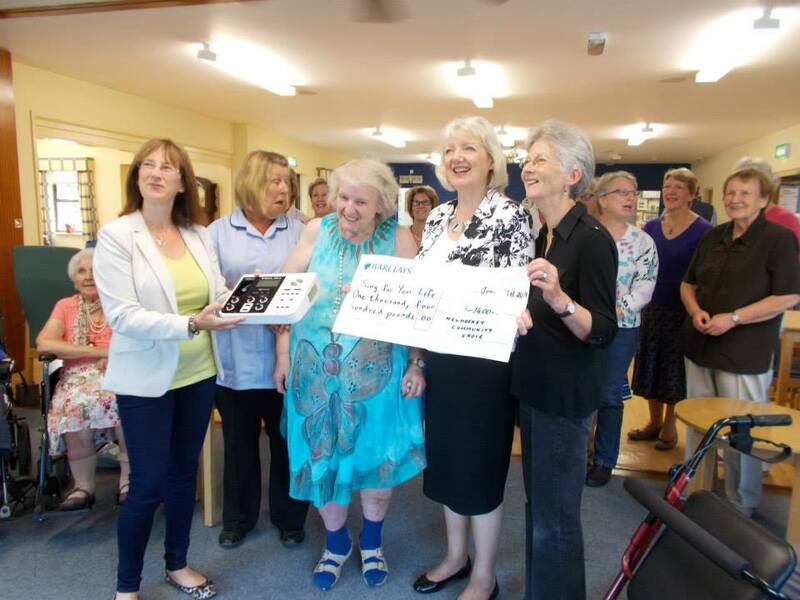 A cheque for £1,400, raised at a charity concert performed by the Newmarket Community Choir, has been presented to Addenbrooke’s Hospital to help with the cost of a specialist scanner which helps diagnose heart conditions in babies, children and teenagers. The cause was suggested by choir member Ellen Cole, pictured with her husband Bob, paediatric neonatologist, Wilf Kelsall, and community fundraiser Kristina Bright, who three-year-old grandson Lucas’s heart problem was picked up by the scanner. “We are delighted with the total and I just want to thank everyone who made it possible, particularly the choir and choirmaster Robert Cross,” said Ellen. It is a fantastic cause that the choir were so happy to support. Lucas is one of the choir’s biggest fans and it was great that Ellen and Bob suggested to put on such a brilliant event. This entry was posted in Healing Hearts Appeal, In The News, Performances.